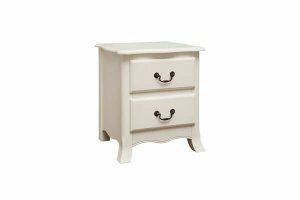 The Sapphire Elm 4 drawer Tallboy provides some extra storage space for your bedroom along with the added convenience that a bedside brings. 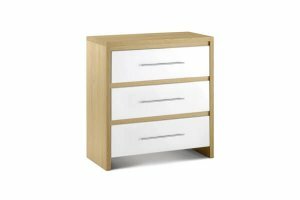 The Sapphire Elm 4 drawer Tallboy is coupled with a simplicity that allows it to be included in any number of bedroom arrangements, and despite being part of a range, this piece is also a great example as a stand alone product. 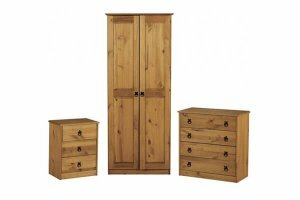 With its featured quality brushed steel handles and colouring, the Sapphire Elm Tallboy is a dependable premium unit that is a wonderful choice if you need a high quality furniture that is going to stand the test of time. 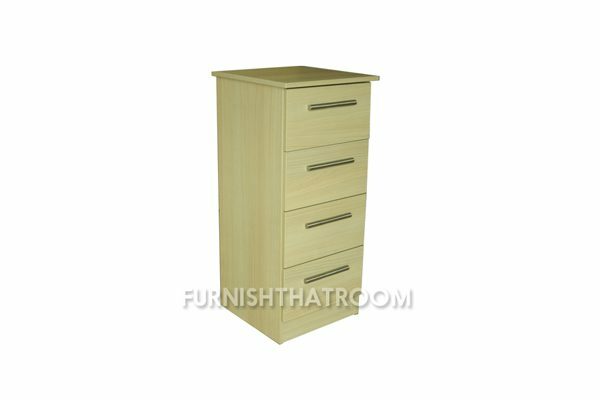 * The Sapphire Elm 4 drawer Tallboy is delivered fully assembled ready to use straight away. 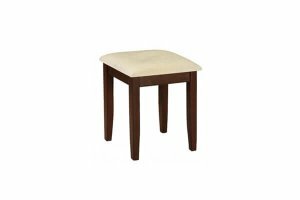 * Other items available in this range: See ‘Related & Similar Products’ below for details.